Think of texting a bit like email. You don't want to inundate your subscribers with messages. This may annoy them and cause higher unsubscribe rates. However, when used strategically, text blasts are effective touch points that nurture subscribers toward action. With our service, you can send up to 6 text blasts per month to your subscriber base. These messages can be additional prompts to donate to your charity, as in the case of Donation Collection Assistance. Or, you can send news, updates or alerts. Use text blasts to nurture relationships, not just to ask for donations. Build trust with your prospective donors by giving them useful information or tips. Why Is There A Limit to the Number of Text Blasts I Can Send? Technically, there isn't. But to comply with the law, you must disclose to your subscribers how many subsequent messages you plan to send to them after they subscribe. Best practices encouraged us to cap the number of blasts to 6 to avoid annoying subscribers. When subscribers are annoyed, they will often opt out, which means fewer donations for you. Additionally, you have a limit of 250 total messages sent and received through your short code. If you exceed this amount, there is a $20 charge for each block of 250 messages used. Do You Have Any Tips for Sending Text Blasts? Always keep your objective in mind. Your objective is to get prospects to give you money. That means you have to understand the conversion funnel and find ways to nurture prospects down the funnel. 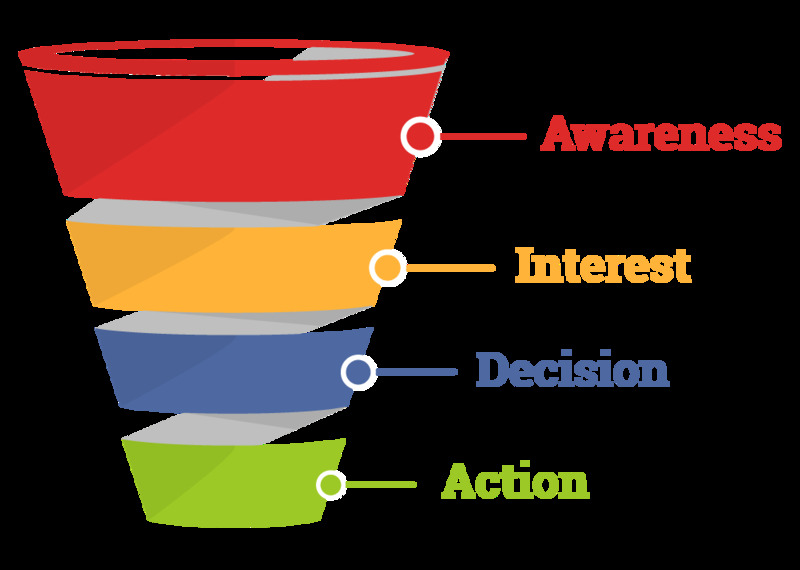 The sales funnel offers a visual representation of how prospects make their way towards taking the specified action you want them to take. With each step, the prospect gets closer and closer to giving you money. Awareness is just that -- being aware that a solution exists to the donor's problem (your organization). The first step is always awareness of the solution your charity provides. When a prospective donor texts your keyword to your short code, she is obviously already aware. But promoting your keyword and shortcode on your website, in social media, and other places makes more people aware of your charity. Additionally, we help spread awareness by publishing links to your charity and keyword on our Facebook and Twitter pages. After being made aware, the next step is to get the prospect interested in your charity's products and/or services. Having your shortcode and keyword also helps with this, but you can increase interest by purposeful content creation. For example, you can send helpful messages and link to relevant blog posts or product pages. At this stage, you are trying to increase interest in your organization by telling your prospective donors about the features, benefits and mission of your organization. Some of those who are interested will want to take action. You've gotten them to the decision stage, now it's time to make the ask. This is where you motivate your prospects to make a decision: to donate, to sign up for a newsletter, to download a document, to call your office, etc. Whatever it is that you want them to take action on, you need to think carefully about how to encourage them to do so. At this stage, you'll want to include strong call to actions like "Click here," "Donate," "Download," etc. Action refers to the actual behavior you want your prospects to engage in. Again, with our Smart and Pro Plans, we also help your prospects take action through Donation Collection Assistance. Sign up today and start raising more funds.